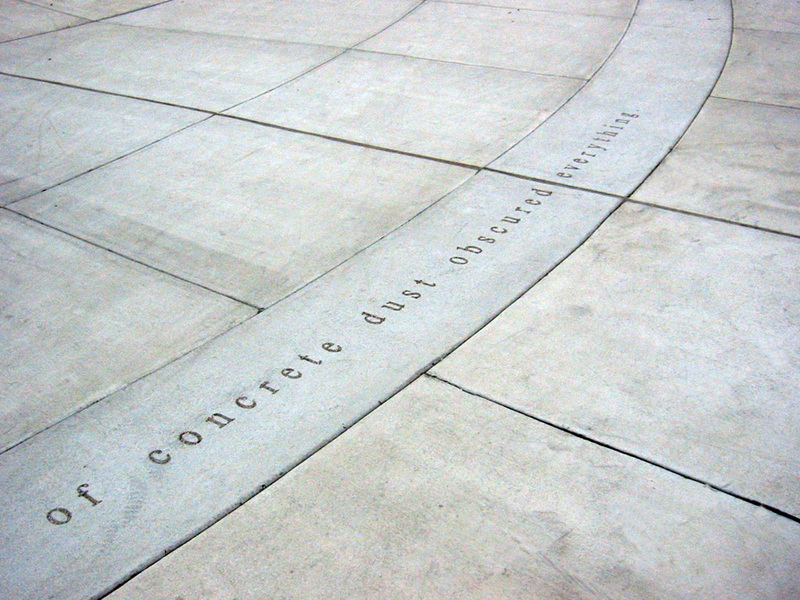 Loma Prieto Earthquake Memorial: granite, text in concrete, stone, steel, earthwork. 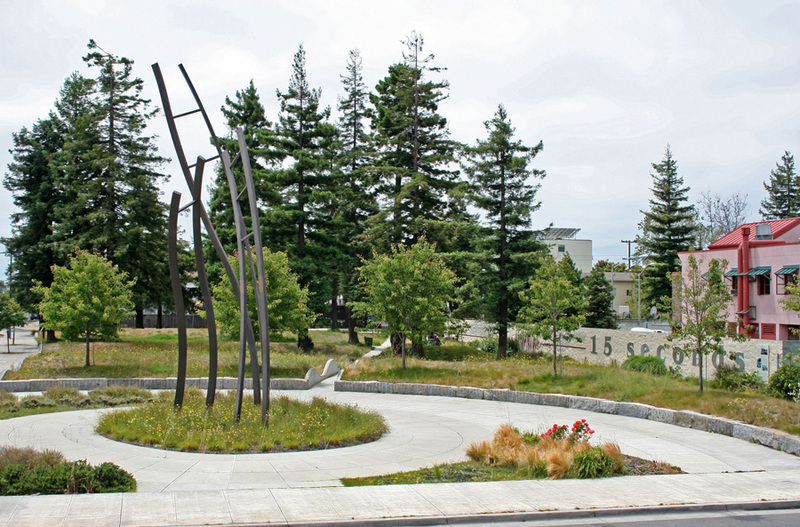 The Oakland Memorial Park "15 SECONDS" is a public space created to memorialize those who died in the 1989 Cypress Freeway collapse during the Loma Prieto earthquake; a place to honor the heroism of those from the local community who assisted in the rescue efforts. The concentric seismic rings creating the landforms creates a unique experience for children and adults as well as providing a learning experience on tectonics and sustainability. 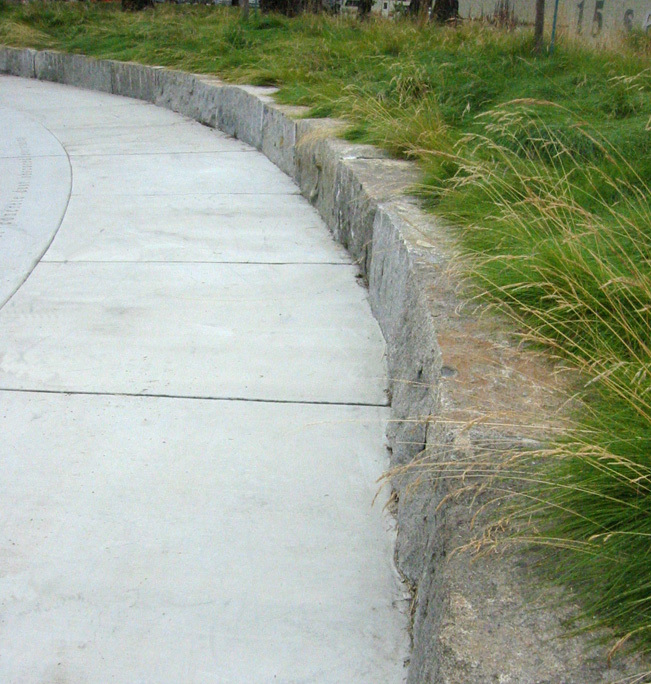 The design is a series of earth "waves" that roll through the site. 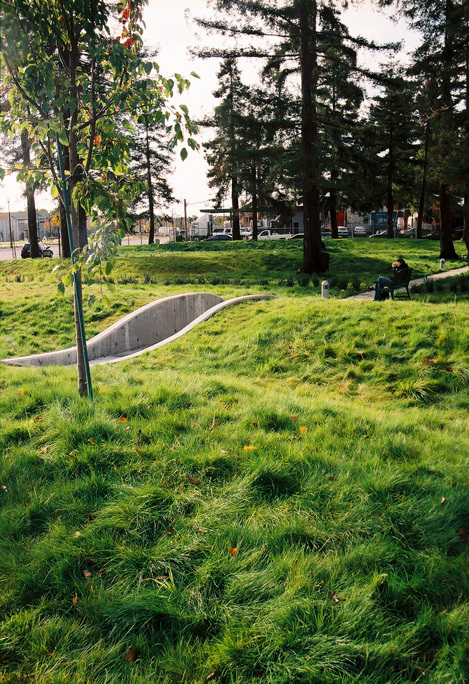 Through a series of community workshops, stories were collected about the shared experience and incorporated into the design. As a design collaboration between myself, April Philips and Katherine Keefer it uses a narrative and symbolic context for all of the art and "artistic" elements and blurs the boundaries between landscape and art. 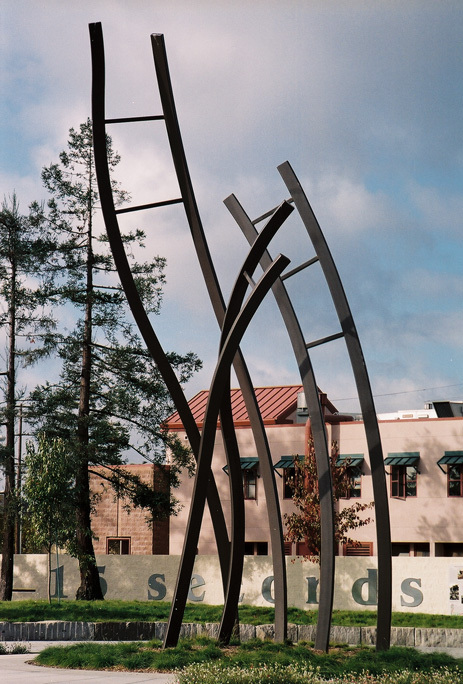 The three Ladders are symbolic of the ladders the community placed on the collapsed freeway in the process of rescuing those trapped in the collapsed Cypress Freeway.